For more than 70 years, we have relied on high mileage and well-balanced driving characteristics at a good price. 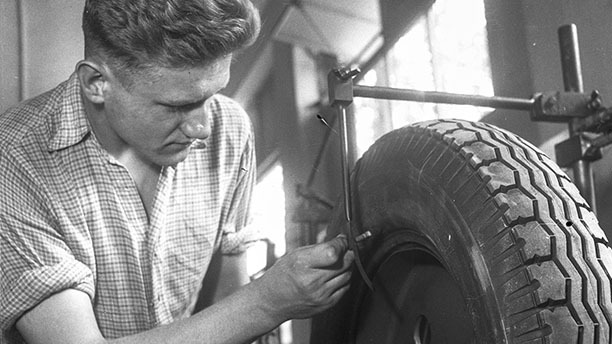 It all began in 1948 with the merger of the three tyre manufacturers. Today, Barum produces more than 21 million tyres annually, belongs to Continental AG and is one of the leading tyre companies in Europe. The foundation for Barum's success story was laid by the founding trio: Bata, Rubana and Mitas. These three rubber visionaries jointly founded a tyre company in the Czech town of Zlín in 1948. One man in particular provided the necessary expertise: Jan Antonín Baťa. His name is firmly associated with the Czech Republic and the successful production of shoes. The business was founded by his brother, Tomáš Baťa, in 1894, and Jan Antonín took over the group's business in 1932. After nationalisation in 1945, Bata finally devoted himself to new challenges in the rubber business. He recognised the great potential of the material for the automobile industry and devoted himself entirely to his idea: instead of work, protective and street shoes, it would only be tyres that left the factory from now on. A suitable name for the new company was quickly found, putting together the initial letters of the three founders' names to create the brand name 'Barum'. The businessmen had one main objective right from the start: to make their tyres durable, powerful and, above all, affordable. Their vision became reality, and their Continental tyres proved their best product characteristics at international races. Vehicles fitted with Continental tyres won numerous motorsport competitions between 1931 and 1960. A modern production plant was built in Otrokovice in the Czech Republic in 1966 to boost production of these quality tyres. They are still produced there today. In 1971 Barum called for the first Barum Czech Rally in Zlín, one of the most important sporting events in the country. Even today they are still successfully holding speed tests and car races there – cheered on by thousands of fans right before their eyes. 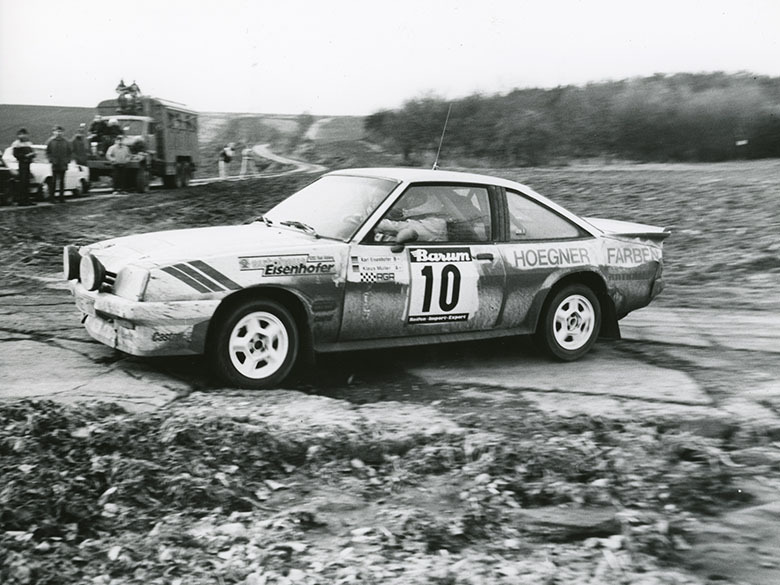 Another milestone in the company's history was the merger with German tyre manufacturer Continental in 1993. Barum's development took off at a rapid pace when it became part of the Continental Group. Since then, Barum has profited from the experience and competence of the German tyre company, as well as from its research capacities and highly efficient high-tech tyre manufacturing technologies. The result: Barum's quality tyres for cars, SUVs and vans win people over right down the line. Our high standards have also been recognised by the Lloyd's Register Group. Barum was awarded the Lloyd's Register Certificate in 1994 in accordance with ISO 9001 for the quality of the production process for car tyres. Two years later, the certificate was extended to cover the production process for agricultural and truck tyres. In 1997, Barum became the first company in the Czech Republic to be awarded ISO 14001 and EMAS certification for compliance with the environmental regulations. But that's not all: The plant in Otrokovice increased its tyre production to six million tyres a year from that point on. As one of the most effective production and sales companies in the world, Barum produces over 21 million car tyres annually. This fact makes the company very optimistic about the future and it also ensures that Barum regularly launches new products on the market. The company developed the high-speed Bravuris tyre in 2002 and then boosted total annual production to over 15 million tyres. In the anniversary year 2018, Barum launched its '5' tyre series, and not only the Bravuris 5HM summer tyre, but also the Polaris 5 winter tyre and the Quartaris 5 all-season tyre were launched on the market. Truck and pick-up tyres are also part of the tyre production process. Since 1982, Barum has been one of the first companies to manufacture all-steel car tyres for trucks – with great success. A new production hall dedicated entirely to truck tyres was opened in 2015, in which one million truck tyres are produced today. The secret to Barum's success? The vision and drive to develop even better products. This is why the company is constantly optimising its tyres and developing new technologies so that you can drive safely on all roads. Barum's success story: No end in sight! Today, Barum is one of the world's leading tyre manufacturers in Europe. The Barum trade name was renamed Continental Barum s.r.o. in 2012 and is now the largest employer in the Zlín region. 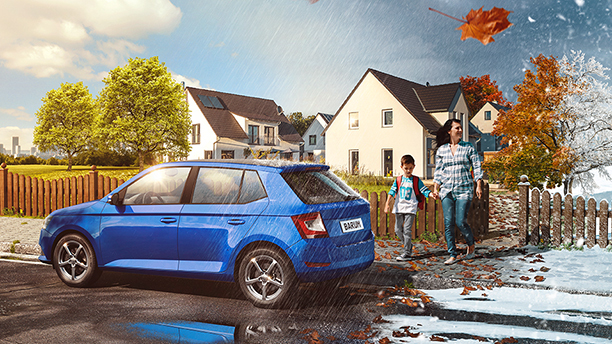 Powerful, durable and affordable: You can always rely on Barum tyres. Find out what other reasons speak for the brand. Good tyres. Good Deal. At Barum, we offer a wide range of tyres at competitive prices.